Superb centre steering cruiser with full electric sliding roof making this craft ideal for all weather cruising and sunbathing. 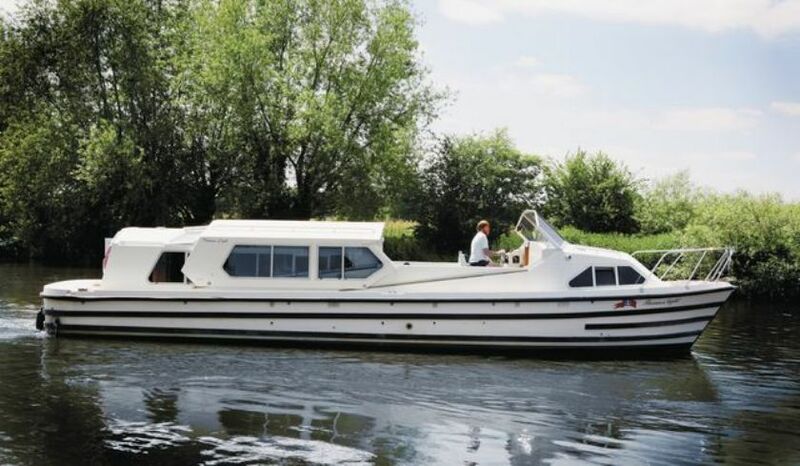 Spacious saloon with TV/DVD and convertible double berth, open plan galley with microwave. Beds: 2 singles & 2 doubles or 4 singles & 1 double in 3 cabins & saloon. Large forward double with en-suite shower room with toilet and basin, central twin berth with basin, rear double or twin berth with basin and door to rear well. Full central heating. Shower room with toilet and basin.